I don't usually talk about Mars, but I think for this occasion I think we can excuse it. It is a big week here at the Lunar and Planetary Laboratory (I would literally mean "here" if it weren't for the stupid Tucson transit strike). My boss, Alfred McEwen, has been selected to be the principal investigator of the High-resolution Stereo Color Imager, or HiSCI camera on the joint NASA-ESA Mars Trace Gas Orbiter mission. This will be his second camera that will make it to Mars, after the highly successful HiRISE. HiSCI will beam back images with a resolution of 2 meters per pixel. While this is not as crisp as the HiRISE camera, HiSCI will allow the team to image a wider swath of the Martian surface. Not only that, but the entire swath will be in color, rather than a narrow band at the center of the HiRISE swaths currently. The four colors to be used by the camera will help scientists distinguish various surface components such as water ice and dust. Another exciting feature of the camera is its Yaw Rotation Drive. This drive will allow the camera to scan across a target before it passes over it, then rotate so it can scan the target again when the spacecraft is directly over the surface feature. This allows the camera to obtain near-simultaneous 3D stereo coverage, rather than using two images that are taken months apart, as is currently done with other Mars cameras, like HiRISE or CTX, or with Io stereo images like this one of Zal. This will mean that every target HiSCI images should have stereo, allowing detailed digital terrain models to be constructed for each imaging target. This new camera will part of the payload for the Mars Trace Gas Orbiter, a joint NASA-ESA project that should launch in January 2016. The main goal of the mission to measure the concentration, both in general and locally, of various trace gases in the Martian atmosphere, such as methane. 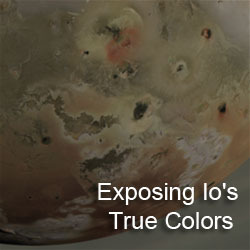 Much as the sub-millimeter observations of Io's atmosphere provided insights into how sulfur dioxide, sulfur monoxide, and sodium chloride got into that moon's atmosphere, this mission is focused on discovering how these trace gases get into Mars' atmosphere, be it through outgassing, photolysis, or most intriguingly, through biology. 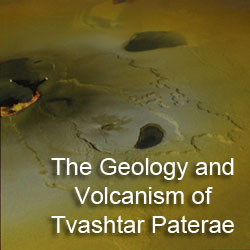 HiSCI will be used to image possible sources regions for these gases, to better understand their geologic context. 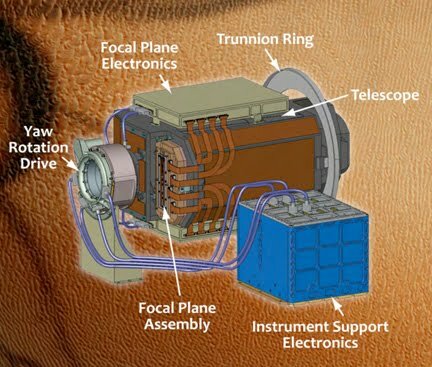 Van Kane has an article up on his blog that describes the Trace Gas Orbiter and the other instruments selected in more detai. So we (and by we, I mean those at PIRL who do work on HiRISE, unlike myself) are off to Mars again. Congratulations are in order for the HiSCI team for their selection to the payload of NASA's next Mars mission after MAVEN. 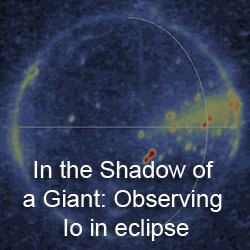 I hope MRO and the HiRISE camera will still be functioning for you guys to to joint observations. As for myself, I will still be toiling away in the Saturn system, hoping lightning will strike a third time.